For the curious student, the wide range of seminary courses is one of the most exciting things about attending seminary. Here is just a quick overview of the types of courses you'll study during your seminary training. As you would likely expect, biblical studies form a significant part of any seminary curriculum. Unless you receive advanced placement, you'll take introductory (but graduate level) courses in Old Testament and New Testament. You'll also likely have to take electives in biblical studies, many of which are concentrated study of a single book. You'll also take basic seminary courses in systematic theology, studying commonly accepted doctrines of the church such as the Trinity and the Incarnation. 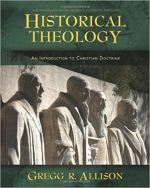 Many systematic theology courses are offered from a chronological perspective, studying the early doctrines of the church through the contemporary period. 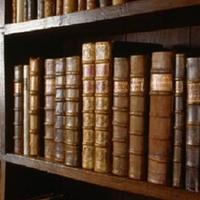 The influence of important figures such as Augustine, Anselm, and Aquinas are also studied. Others approach introductory theology from a doctrinal approach, studying theories as they relate to one another, often beginning with a theology of God and progressing from there. Advanced courses in theology will often concentrate on a single figure (e.g. the theology of Karl Barth) or a single doctrine. Most seminaries and divinity schools will offer basic courses in philosophy or the history of philosophy. These courses are important for a well-rounded seminary education because of the close relationship between theology and philosophy. In fact, it is at times difficult to distinguish between the two (e.g. Aquinas, Kierkegaard). In seminary-based philosophy courses you will deal with questions of God's existence, the problem of evil, free-will vs determinism, and other serious questions. Most seminaries will require at least two courses in church history, focusing on not only the development of doctrine and the importance of specific theologians and other figures, but also on the growth of the church itself, its missionary practices, and its relationship to the surrounding culture. Advanced courses may focus on the influence of a particular figure (e.g. Augustine, Calvin) or a particular era (e.g. American Church History in the 20th Century). While often taught as either a biblical studies or theology sub-topic (or both), the study of hermeneutics has become important enough to merit its own category (at least it has to me). While it sounds intimidating, hermeneutics is simply the study of interpretation theory - how and why we interpret texts. Though it often refers specifically to biblical interpretation, the word now often refers to any type of textual interpretation, from the book of Matthew to the Constitution. Since the main purpose of a seminary or divinity school is to prepare students for ministry in the church, you would expect to study the art and practice of preaching - that's homiletics. If you've ever heard someone deliver a sermon that challenged the mind and the heart and moved you to action of some kind, then you know how powerful good preaching can be. Homiletics involves the study of sermon preparation and delivery. One of the most challenging parts of doing pastoral ministry is the real world issues that confront you on an almost daily basis. Congregants get sick, lose loved ones, lose jobs, get divorced, and a host of other problems that we all endure. While it's impossible to prepare during one's short time in seminary for all the curve balls that real ministry will throw at you, you can still receive an introduction to the tools that you will use during your pastoral career during these seminary courses. Even if you don't plan on being a pastor or going into church ministry, the skills you learn can prove useful elsewhere. In addition to courses like pastoral counseling, if you're interested in working in the church as a minister of some kind, it's wise to take some seminary courses on various types of practical ministry such as youth ministry, senior ministry, and the like. Often, you can combine classroom theory with internships and other opportunities to put theory into practice. While it's impossible to prepare during seminary for the wide range of ministry opportunities you'll have to address in your ministerial career, it's still a perfect time to start.